The TExES Social Studies 7-12 can be nerve-wrecking for anyone. The purpose of the test prep tips below is to simplify your test preparation and help you get a passing score. 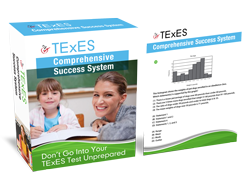 Getting an effective TExES Social Studies 7-12 practice test is critical to getting a passing score. That is, if you want to continue making progress in your Texas teaching career. A highly effective TExES practice test helps you evaluates your knowledge and skills pertaining to effective teaching and professional responsibilities. In your study for the TExES Social Studies 7-12 (232) test, you must know what you need to focus-on. In order to get a passing TExES exam score your test preparation must cover the core knowledge and professional competencies measured on this assessment. The test practice tips below are focused on specific nuances of the Social Studies 7-12. However, this study advice has been used to pass the TExES Math 7-12, ESL, PPR, Social Studies 7-12, Special Education and many others. A TExES Social Studies 7-12 (232) practice test (and of course the real exam) for people who consider themselves “bad test takers” or have test anxiety this examination can be a nightmare. After all, this Texas teacher certification test determines your career and the trajectory of your future. As if test anxiety were and consequences of failing were not enough, the test takers are also constantly overwhelmed by about the amount of material they have to study for the TExES Social Studies 7-12 exam. You should start TExES Social Studies 7-12 test prep long before your actual exam date, as it will increase your chances of getting a passing score. Give yourself at least 2 good months of consistent daily study time to prepare. Set a logical test date: Select a testing date which gives you ample time for your PPR practice. Choose the right TExES Social Studies 7-12 practice test: The books or practice tests you choose will be the basis for successful test preparation. It is crucial to research and find a prep manual which will be most useful. Beware of the cheap and inadequate practice books which are although cheap, can affect your test score adversely. Make a TExES Social Studies 7-12 prep plan: Depending on the time you have, make a study plan for your study sessions. Determine all the areas you must cover between now your test center day. Estimate how many days or weeks you need to fully master each content area. Assign more time to the subjects or topics which you find difficult or that you feel low in. Planning and organizing your review sessions at least each time before you start a session will help you focus on the areas where small amounts of effort will yield the most score improvement. It’s even better if you can map out an entire schedule for your TExES test practice between now and your exam day. It will help set you up for success rather than risking a disorganized and frantic cram in ineffective and stressful study 2-3 weeks before your exam. Keep evaluating your TExES Social Studies 7-12 (232) study progress: After each week of reviewing your prep guides, you should evaluate your progress. Measure your progress by taking a high quality and highly effective practice exams and example questions each week. This exercise will not only give you exam practice under real testing conditions, it’ll give you critical feedback you need to determine where you need to concentrate on in your study time. Once you pass this Texas teacher certification examination, the State Board of Educator Certification or SBEC will then grant you a Texas teaching certificate. Choosing the right TExES Social Studies 7-12 study guide for this teacher assessment is certainly not easy. Be sure to get review books by actual Texas teachers who took and passed. Avoid the generic, cookie-cutter study guides by big name publishers that cause thousands to fail each Pedagogy and Professional Responsibilities exam date. TExES Social Studies 7-12 prep classes where the certified Texas teachers and tutors who passed help you have been proven to yield consistent passing scores. There are plenty of well designed preparation courses and books online by Texas educators who passed too. These can help you save weeks of time, avoid struggle, improve your score and stop risking failure due to mediocre prep books.